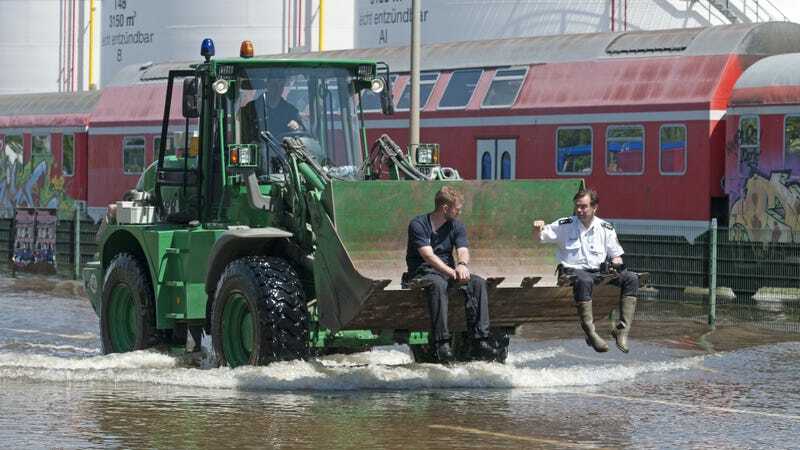 Two Germans get a ride in a front-loader thanks to the floods across Europe. Two Germans get a ride in a front-loader thanks to the floods across Europe. This happened on Monday in Magdeburg, Germany.